Indulge in a half day tour through Hobart and one of its largest wine regions, Coal Valley, with wine, cheese and chocolate tastings. Visit Frogmore Creek overlooking the Derwent River. Here you can enjoy a wine tasting at one of the state's most awarded wineries. 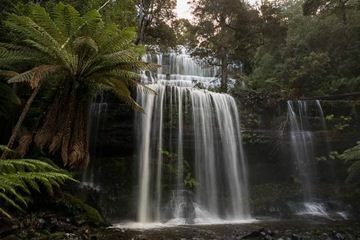 This tour is the perfect way to be introduced to Tasmania's local produce and wineries. Sample the very best with this half day tour, making it an ideal gift idea for anyone passionate about their wine, cheese or chocolate! Over this comprehensive two day course, you will learn how to make 9 popular cheeses to use at your next dinner party or as a special touch to any dish. Quite as the name suggests, this is a super intensive, hands-on course that will teach you how to make 9 different types of cheese. 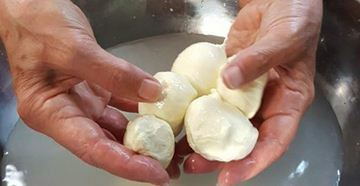 Spread over two days, you will have the opportunity to learn the theory behind each step taken to create the creamiest, tastiest and freshest cheeses. This is the perfect cheesy gift to give to a passionate cheese lover or indeed any cook, as fresh ingredients are always best! Take your cheesemaking skills to the next level and experiment with different styles of cheese as well as several dairy products in this hands on creative course held in several convenient cities throughout Australia. Not only has this course covered any information a soon-to-be cheese maker will need to know, but it’s held in several locations throughout Australia, including Brisbane, Sydney, Melbourne or Hobart. Guests enjoy a round-trip scenic cruise to the Peppermint Bay Hotel while soaking up Tasmania's spectacular scenery and savouring a delicious lunch, taking in harbour and city views as we cruise our way through the River Derwent. 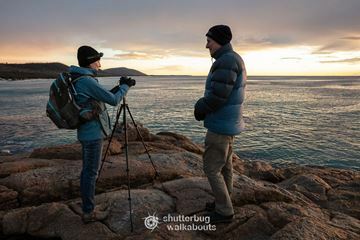 Upon entering the calm waters of the d’Entrecasteaux Channel, we stop at a few spots of interest: ancient rock formations and if the sea life are cooperating we stop to see sea eagles, dolphins and seals. We then dock at the jetty to disembark to The Peppermint Bay Hotel. The Peppermint Bay Hotel overlooks the picturesque Bruny Island, the perfect setting to enjoy lunch on the water's edge. We offer a great selection of delicious Tasmanian produce, wines, locally crafted beers and stellar service. 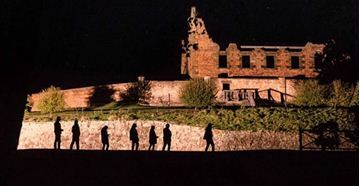 Join a lantern-lit walking tour to experience and uncover the history behind Port Arthur Historic Site by night. This 90 minute ghost tour is sure to make a memorable impression on all guests. 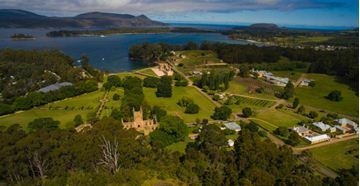 Port Arthur is about 1 hour and 20 minute drive from Hobart, Tasmania.